Mohit Dubey, Co Founder & CEO, CarWale.com has in the last 10 years, relentlessly pursued his idea of making car buying simple in India. As a result, CarWale.com has now become the benchmark of how cars are bought, sold and advertised using digital media in India. As an entrepreneur, Mohit exemplifies rapid growth, maturity and leadership for his brand. From 2 people and a dream in Bhopal to over 400 committed folks in Mumbai, from a curiously-spelled site to a name every car manufacturer and shopper knows, Mohit's and Carwale's stories are the stuff case studies are written about. Mohit also led the successful consolidation of CarWale and CarTrade. While it is one of the top 10 most funded startup in the country; more importantly it serves 32 million visitors on their platform every month and help them connect with 10,000 new and used car dealers. 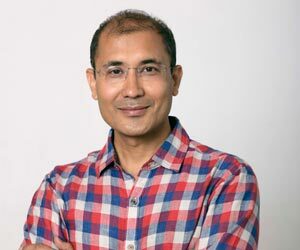 Key note speaker & Session lead: Sanjay Nath, Co-founder & Managing Partner, Blume Venture Advisors Pvt. Ltd.